I recorded this on my birthday, but then we all got sick. On top of that I got super busy too! But I finally had a chance to finish up the video! 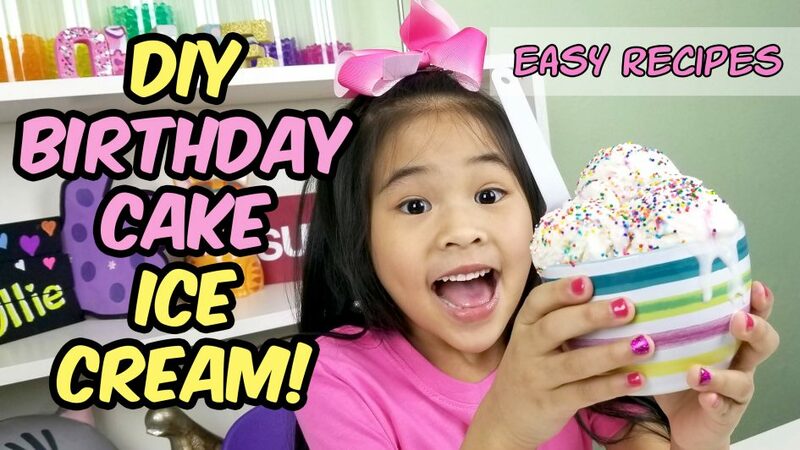 For my birthday, I decided to make an easy DIY Birthday Cake Ice Cream Recipe. You can make this homemade ice cream without an ice cream machine! The ice cream recipe also only has a few ingredients and is super quick to put together! The only long part is waiting for it to freeze. It’s worth it though! IT IS SOOOOO GOOD! Freeze the jar for a little bit to make it nice and cold. It will help the cream whip up faster. Pour the heavy cream and vanilla into your jar and close it up. Shake the jar vigorously until it turns into whipped cream! Pour the whipped cream into a mixing bowl. Mash up your vanilla cupcake. Fold the mashed up cupcake and your condensed milk into the whipped cream. 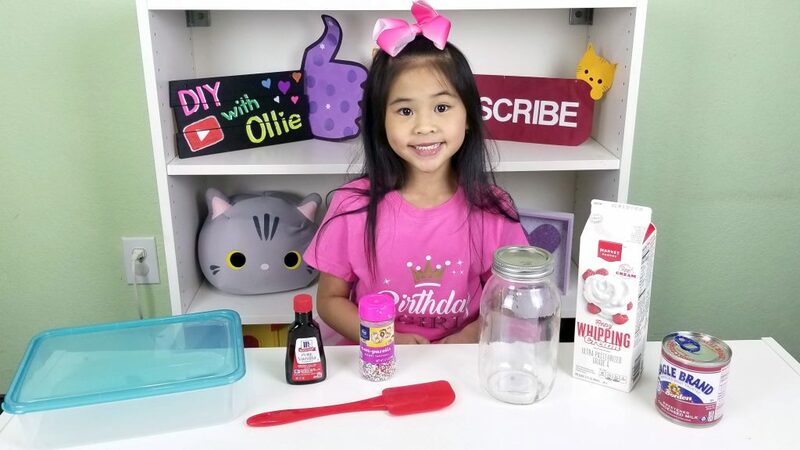 Add some sprinkles and mix them in too! Pour your ice cream mix into the container. Tap the container to flatten it and top it off with lots and lots of sprinkles. Now for the long wait. Freeze your ice cream for at least 6 hours. That’s it! After 6 hours you can dig in! It is soft, fluffy! You can change up this ice cream in the jar recipe any way you’d like by changing the cupcake flavor and the extract!